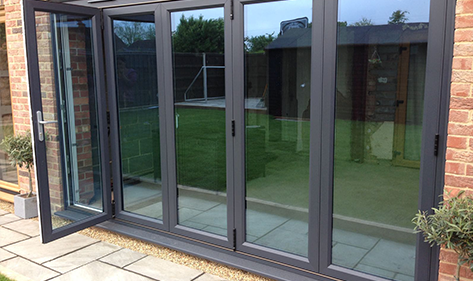 We use the UPVC Eurocell Aspect 2 Bi-fold system. 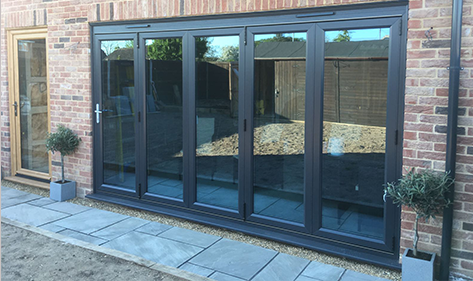 Bi-fold doors glide open with the lightest touch, bringing the outside in. They are made to measure ranging in size from 1110mm to 6495mm. They are available in 8 colours. We use the Yale Mantis 8 point locking system (supplied with a 10 year guarantee). Composite doors are available in 23 styles in 13 colours.